Stellar’s XLM surged 17% on Friday as the overall cryptocurrency markets posted gains, led by XRP, which was up 55% on a 24-hour trading period at the time of writing. The price rise of Stellar comes as the cryptocurrency is seeing increased adoption, specifically through IBM’s new cross-border settlement system – World Wire. 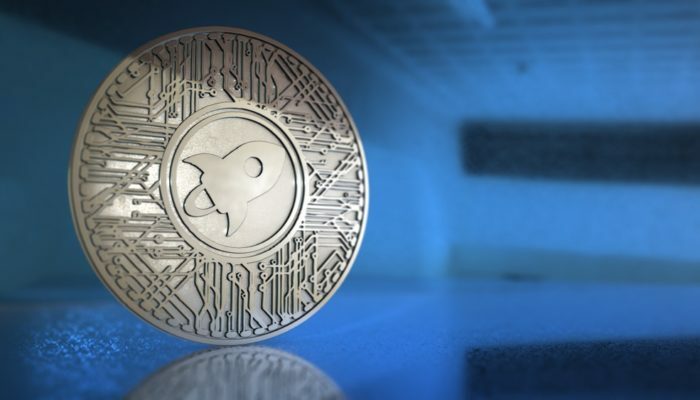 On Friday, XLM’s price surged from just over $0.21 to nearly $0.28, before falling slightly to its current price of $0.25. The surge came as the cryptocurrency markets saw an influx of funds, with other altcoins, like Bitcoin Cash (BCH) and Cardano (ADA), both up over 10% in the past 24 hours. The increase in altcoins prices comes after a huge drop that brought the cryptocurrency market cap from its monthly high of $240 billion. This was followed by a drop to a market cap of approximately $185 billion before surging to its current levels of over $222 billion. During this surge, Bitcoin’s market dominance fell nearly 5%, much of which was given to XRP, whose market dominance surged 4% to 12%. The two leaders of today’s price surge are undeniably XRP and XLM, two cryptocurrencies that are widely viewed as direct competitors. The surge in these crypto’s prices can mainly be attributed to the fact that they are both seeing signs of widespread adoption right around the corner. Ripple recently announced that their xRapid cross-border settlement product would be rolled out in the next month or so, which could mean increased liquidity and prices for XRP. This will be used to provide banks and financial institutions with highly effective international transfers. While speaking to CNBC, Sagar Sarbhai, Ripple’s head of regulatory relations for the Middle East and Asia-Pacific, said that the company has made huge progress in their xRapid system, adding that it will go live very soon. Currently, the majority of Ripple’s clients are looking to use their xCurrent product, which utilizes Ripple’s blockchain to facilitate transactions, but does not utilize XRP in order to transfer funds. Although xRapid is underutilized as compared to xCurrent, there are multiple major companies and institutions that are in trial with, or signed on to use, xRapid. Santander Bank, American Express, MoneyGram, Western Union, and SBI Japan, Mercury FX, and Cambridge Global Payments, are currently the major companies trialing xRapid. Stellar recently saw its first major example of adoption with the release of IBM’s World Wire payment system, which will be using Stellar’s blockchain to facilitate cross-border payments. The new system is a direct competitor to Ripple’s products, although it differs in that it allows institutions to choose which cryptocurrency they use, and they are not required to use XLM. As the markets post some major daily gains it is increasingly unclear whether or not the cryptocurrency markets have bottomed, or if there is more room for them to fall.